Yas Bay is set to host a Hilton resort. A new Hilton resort will be part of the Dh12-billion ($3.2 billion) development plan announced by UAE-based Miral, which oversees the development of Yas Island. 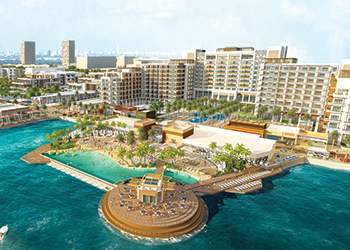 Scheduled to open in 2019, the Hilton Abu Dhabi Yas Island Resort will be located at Yas Bay, near the 18,000-capacity Yas Arena. The resort’s facilities will include a multi-purpose conference centre, seven dining outlets and an innovative urban beach concept with an infinity pool suspended above the waters of the Arabian Gulf.